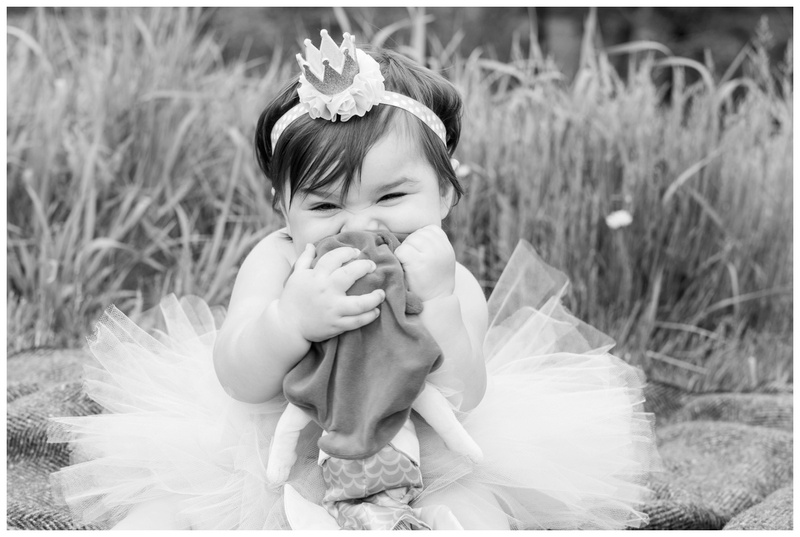 Little Miss Kinsley turned ONE on Sunday! 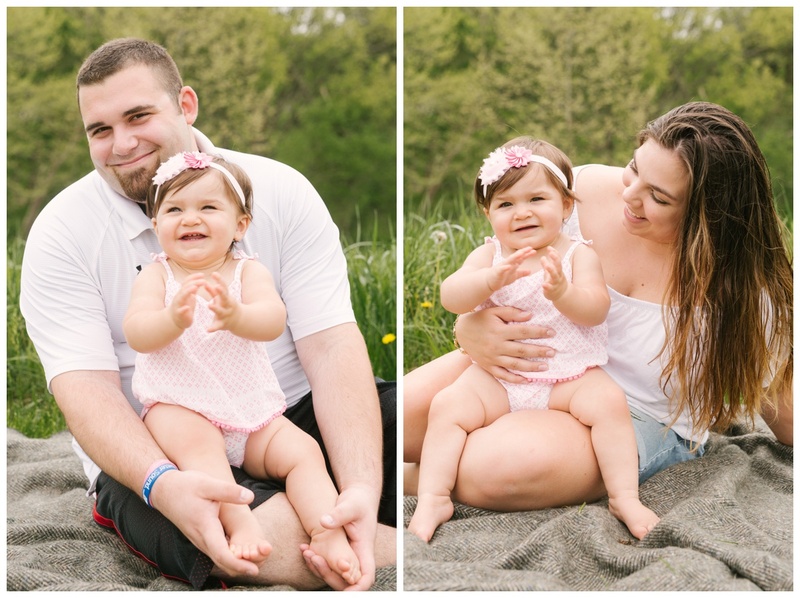 This cutie was a little stubborn with her smile, thank goodness we had her Nonna dancing and singing behind me with toys! She loved snuggling up with Ariel for some love and kisses while we set up her cake smash, how cute! 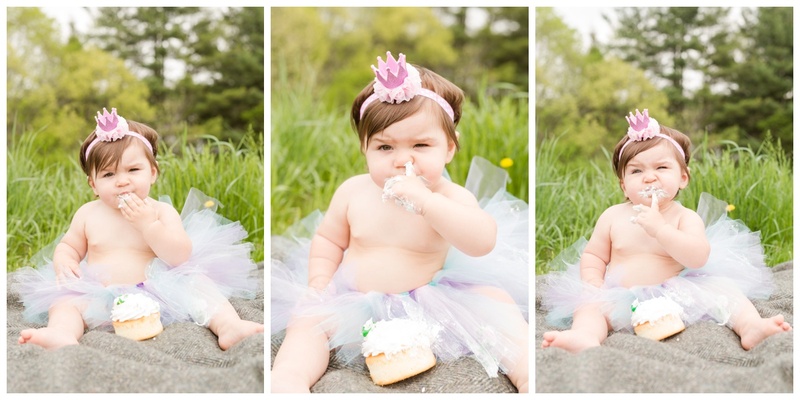 She took her time enjoying some sugary icing making sure to savor each bite while also testing out some of it up her nose, which was adorable and had us all cracking up! Kins was not up for sharing with Mommy and Daddy, or anyone for that matter, she was determined to enjoy each bite to the fullest! As the cake slowly disappeared, her personality and voice began to show even more, proving to her mommy and daddy that the sugar high she was entering may postpone nap time for a while. I had so much fun getting to know Kinsley, and I hope she had the best 1st birthday a girl could have! Kinsley was just clapping away at Nonna’s performance behind me. Look at how cute that hair piece is!! 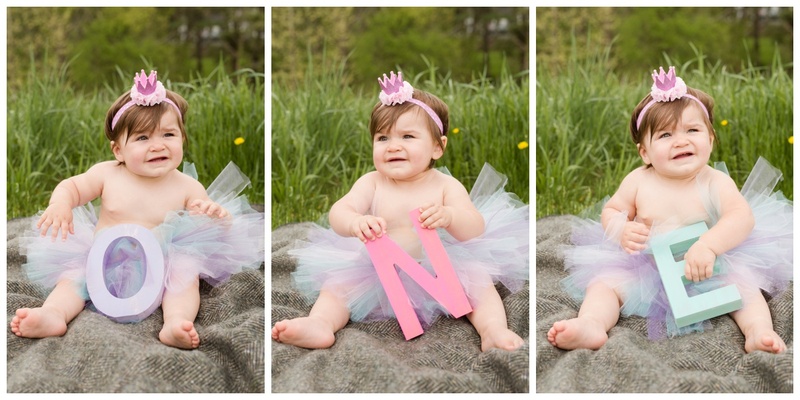 She wasn’t too sure how she felt about these letters Mom made for her to hold. She loved her Ariel SO MUCH! It was so precious! “It’s her party, she can stick it in her nose if she wants to!” Okay, okay maybe that isn’t how the song really goes. But you have to admit, it is adorable! 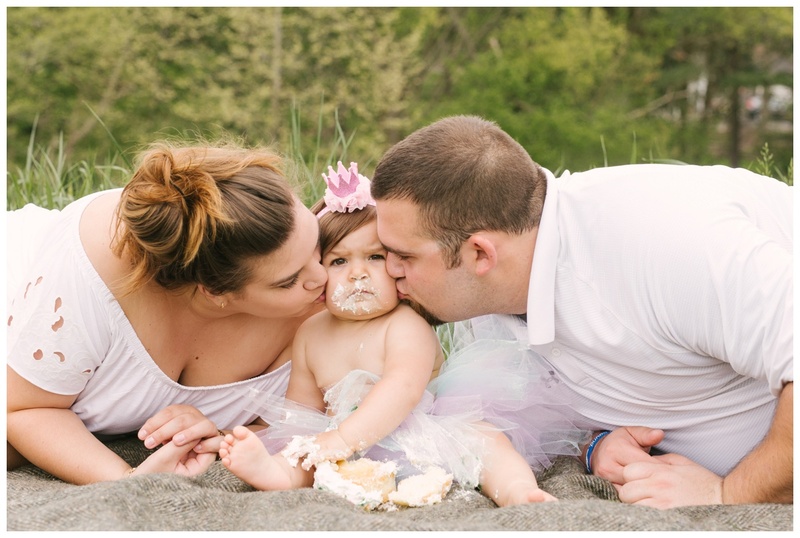 Kinsley wasn’t sure why Mom and Dad thought it was okay to interrupt her cake eating for kisses…. But as the sugar started to sink in, she started to talk to me, show me she was “SO BIG”, and even tried to munch on a dandelion.